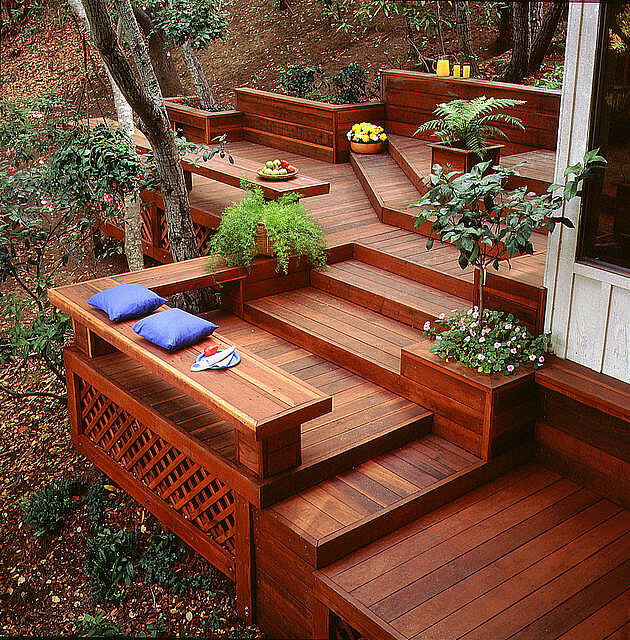 A deck is perhaps the most versatile fixture on a home’s exterior. I like to think of it as a blank canvas, ready to project whatever postcard-perfect image you have in mind. With the growing popularity of outdoor living rooms, many homeowners now see their decks in a new light: the outdoor oasis. There are a number of small touches and design elements that can help transform the look and feel of your outdoor deck space without a lot of investment or effort. What’s more, defining your outdoor oasis with redwood will give you lasting beauty and unparalleled durability that can change with your own tastes and needs over time. Accentuate the positive. Take a look and identify some of the features you want to highlight in the space: Is there a stairway leading to the surrounding landscape? In-deck pool or Jacuzzi? Breathtaking views? Defining where you want to focus on will help you make the most of your budget and existing assets. This is reinforced through carefully-placed accessories such as planters and accent tables. Depending on the design, it’s easy to create pieces that are movable or built-in. With its natural strength and stability, redwood is a great lumber to use for all accents. Eliminate the negative. When identifying your assets, consider potential liabilities on the space as well: Is one side of the deck a little close to the property line? Is there a time of day when the deck is unusable due to light exposure? Overhead redwood structures built onto the deck can give the finishing touch, creating shade and spatial definition. Vertical trellis panels offer protection from sun and wind.Fences can also be designed to screen, protect, divide, decorate, shelter and shade. Have a seat. Seating—how much and what type—is a critical element of any oasis (especially if you plan to relax). You can leverage existing design elements such as low walls or planters to create simple seating solutions such as 2×8 or 2×10 caps. It’s also easy to build simple platform or backed benches; they may be freestanding or components of other elements in your deck design. 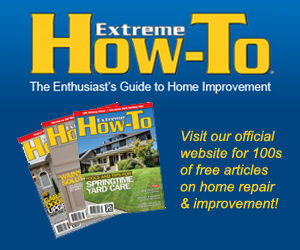 Heighten your style with inspiring woodworking plans that can deliver the style you want for your deck seating. Build for beauty and long-term use. Transforming your deck into an oasis isn’t just about making a pretty picture come to life. Your vision should be built to last. Decks are outdoor structures, so any materials need to withstand environmental elements yet retain their symmetry and beauty. Redwood has a well-earned reputation for meeting these requirements, with a natural resistance to shrinking, warping and checking. It is also naturally fire and insect resistant—increasingly important in drought-stricken areas. As you collect ideas and designs to create your vision, remember: the key to creating a space you want to spend time in means creating time to enjoy your space. 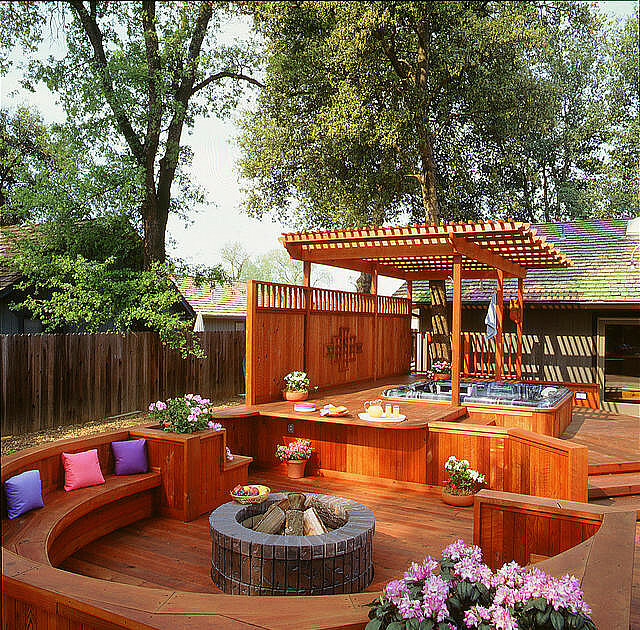 With long-lasting materials like redwood, you’ll have more time than ever to relax in your own personal oasis. Author note: Charlie Jourdain is president of the California Redwood Association. Founded in 1916, the California Redwood Association is one of the oldest trade associations in the lumber industry.